underlying committments | Miracles! Your Center for Well-Being Inc. There have been countless times in my life where I have hit the end of the line. There are times when I know in my heart that enough is enough. I’ve been pushed to the limit. And, I’m solid and clear that I am simply not going to deal with or put up with ‘it’ (whatever it is) anymore. And then … 40 minutes, 40 hours, 40 months, 40 years later … there I am … complaining about the same dang thing. And I find myself questioning that if I was really so “done” with it then …. how come I am still dealing with ‘it’ now? I’m guessing some of you can also relate. And so … if we are still enduring whatever it is that we were so ‘done’ with … whether it be personally, professionally, culturally, globally … it means we have continued to tolerate ‘it’ in some way … for some reason. We are deeply committed to losing weight, but we are more committed to snacking because it helps soothe the pain in our hearts. We fail to set up firm boundaries with someone … because we are more committed to being ‘nice’. We tolerate the challenges of staying with an addicted partner because we can’t bear to be perceived as the kind of person who abandons someone who is struggling? We tell our kids it’s time to turn off their iPod … and then we let them ignore us because we are too tired to muster up the energy we’d need to argue them into submission. We want to give up on something … but we persist because we rather not feel like a “failure”. We give and give and give until we are empty because we don’t want anyone to call us “selfish”. We tell ourselves that if the boss says ‘that’ one more time, we’re quitting … but we never do because we really need the money. We desperately need to ask for help … but don’t want people to think we are weak, stupid or incapable. We don’t stand up for ourselves because we feel so much compassion for the other person … we know they are just really stressed and didn’t mean to hurt us … again. I could go on and on with the list of examples, but you get the picture. 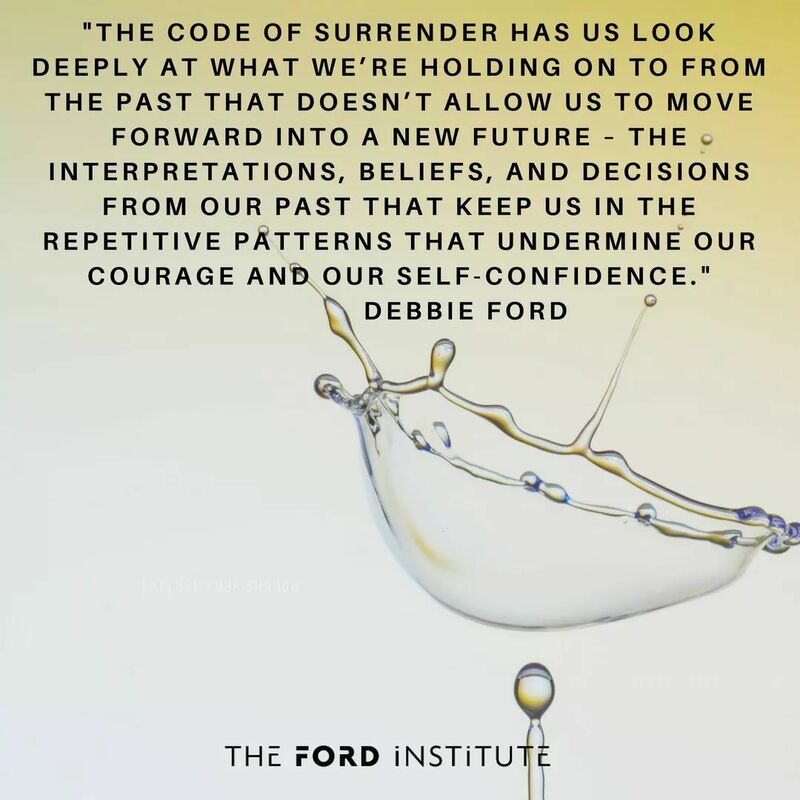 We say we want one thing, but in reality, as my mentor Debbie Ford explained … we have ‘underlying commitments’ that keep us stuck in unfavorable patterns. And so, if we really want to be ‘done’ with ‘it’ … we have to be willing to uncover the subconscious pay off and risk losing whatever it is we’ve been getting from putting up with ‘it’. And this is where we need a whole schwack of brave … and … a whole ton of determination. This is where we must push ourselves beyond the ‘toleration’ and must challenge our deeper needs, fears and foibles. This is where we need to take a really good look at what has been keeping us stuck. And, this is where it can help to have a counsellor, a therapist, a life coach or a support group to help us figure our way through it all … because … it is really hard to see the picture when you are inside the frame. 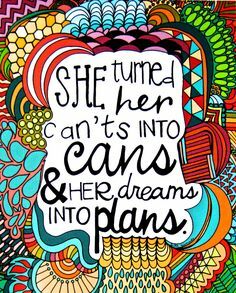 But, I have also learned that it can be one of the most fascinating journeys of your life! What if things could actually change? What if you really could be ‘done’ with whatever it is that is keeping you stuck? 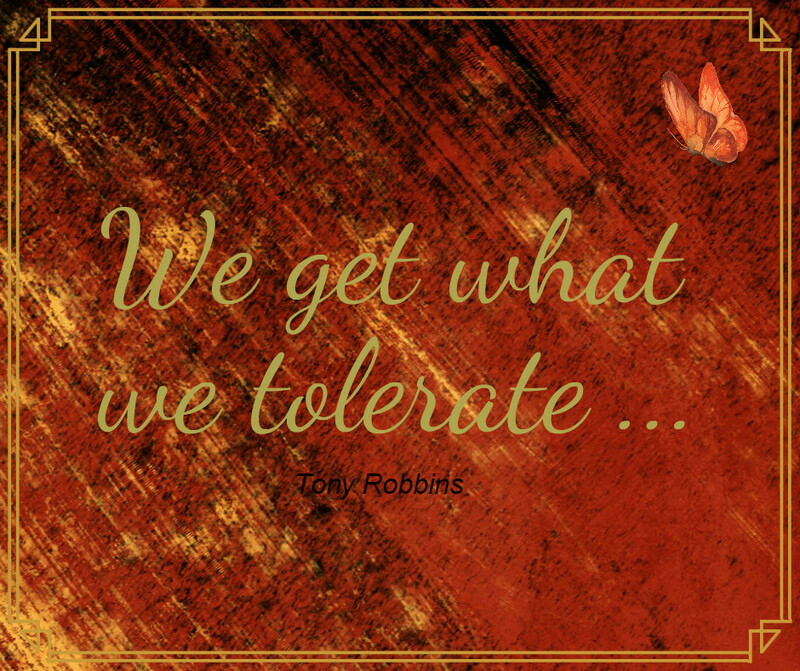 What if you didn’t have to keep tolerate ‘it’ anymore?